Developer 4A Games and publisher Deep Silver have confirmed that Metro Exodus will ship with a photo mode. Therefore, players won’t have to wait for a post-launch update to take photos of hideous, yet gorgeously rendered mutants. Metro Exodus‘ photo mode will be available for PlayStation 4, PC, and Xbox One platforms. Since the start of this console generation, photo mode has increasingly grown in popularity. Much of the hype began with the release of Infamous: Second Son, and continued to build. As Bloch noted in his statement, photo mode is rare in first-person shooters, so it’ll be interested to see how well 4A implements the system. Details as to how photo mode will function in Metro Exodus remain under wraps. Will it simply require a button press that links to an in-game menu, à la Marvel’s Spider-Man? Or will it be built with the rules of the world in mind, similar to Red Dead Redemption 2’s use of an in-game camera based on 19th Century technology? Either way seems probable. Beyond the advent of photo mode, Metro Exodus is the most ambitious title 4A Games has developed to date. The studio has estimated the length of one playthrough to be as long as the first two Metro titles combined. On one hand, this can be attributed to Exodus‘ abandonment of the franchise’s linearity, in favor of what’s been described as “miniature open worlds.” Yet, the script also plays a massive part in the increased length, since it’s supposedly longer than the previous titles and their DLC combined. 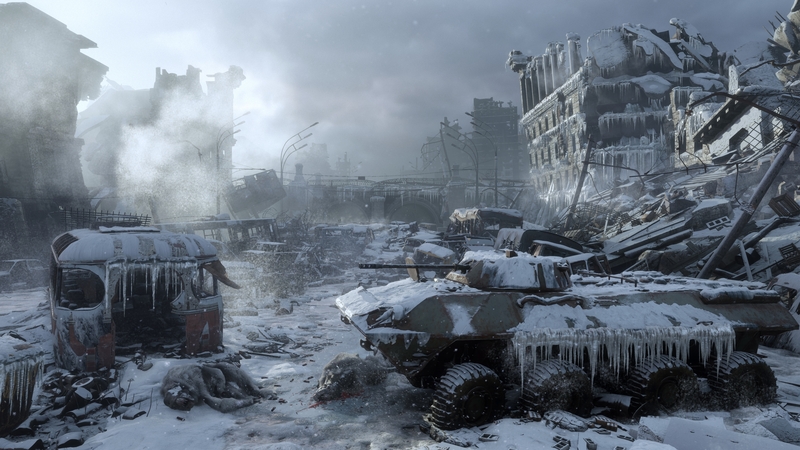 After being pushed up a week to avoid a crowded February 22, 2019, Metro Exodus will hit the PlayStation 4, PC, and Xbox One on February 15th.